Hanging signs are important display structures to give your prospect, client and competition a message that you are at the trade show to do business and an important player in your respective industry. 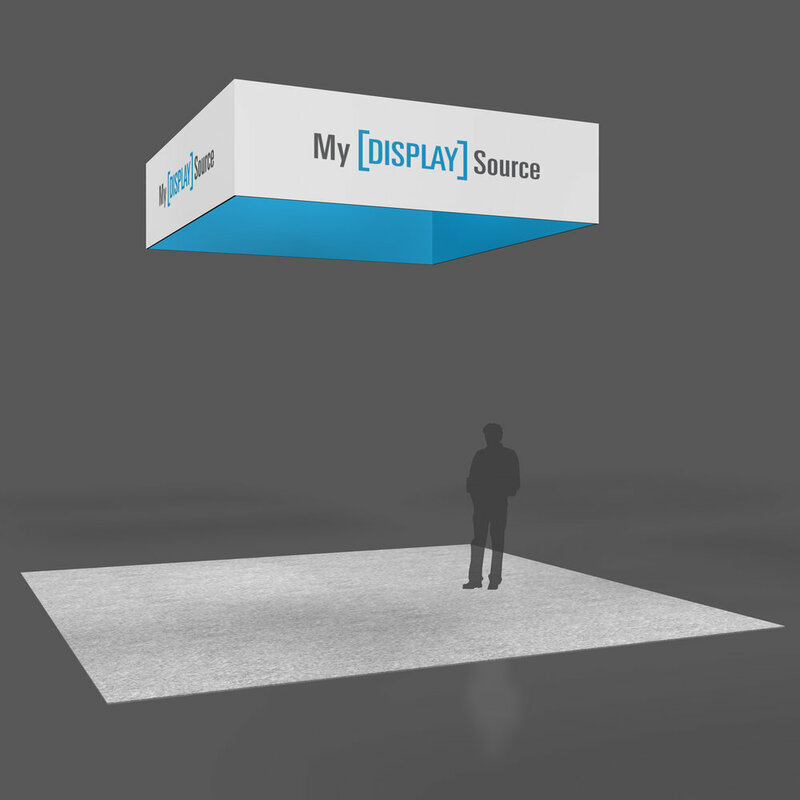 At MYDISPLAYSOURCE™, we specialize in hanging sign structures. You can choose one of our “off the shelf" shapes shown on the website, and we will help design and print your graphic or we can design a custom structure to meet your needs. Need a custom-shaped hanging sign? Contact us for more details. For more information about hanging signs and banners, check out this blog post.